Title: Архив графов Мордвиновых. Том 10. 1903. 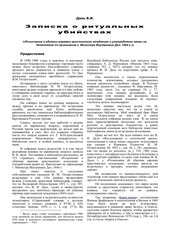 This PDF 1.6 document has been generated by / Google Books PDF Converter (rel 1 21/8/06), and has been sent on pdf-archive.com on 18/01/2015 at 01:06, from IP address 213.87.x.x. The current document download page has been viewed 224 times. File size: 32.5 MB (736 pages). This file has been shared by a user of PDF Archive. Document ID: 00204412.